Key Difference: The Lokpal Bill, and the subsequent Jan Lokpal Bill are both anti corruption bills that aimed to address the rampant corruption in India. The first Lokpal Bill was introduced in 1968 and was passed by the Lok Sabha in 1969; however it did not get passed by the Rajya Sabha. The Jan Lokpal Bill was a newer version of the bill that was introduced in 2011. 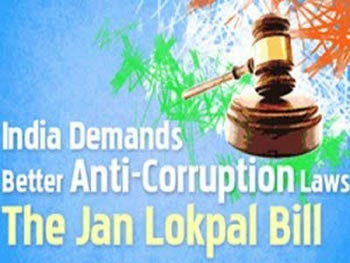 The Lokpal Bill was first introduced in 1968 by Adv. Shanti Bhushan. The term Lokpal was coined in 1963 by late Mr. L.M. Singhvi, a member of parliament. He coined the term during a debate, and since then, the term has come to refer to a "caretaker of people," one that would keep them safe. In 2011, India ranked 95th in the Corruption Perceptions Index of Transparency International. A recent survey estimated that corruption in India had cost billions of dollars and threatened to derail growth. According to a report by Washington-based Global Financial Integrity, India lost $462 billion post-Independence in illicit financial flows due to tax evasion, crime and corruption. 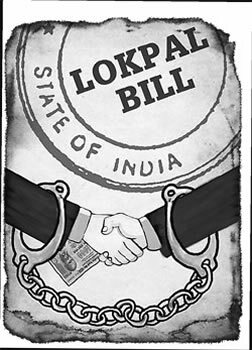 The Lokpal Bill, and the subsequent Jan Lokpal Bill are both anti corruption bills that aimed to address the rampant corruption in India. The first Lokpal Bill was introduced in 1968 and was passed by the Lok Sabha in 1969; however it did not get passed by the Rajya Sabha. After this, the bill was resubmitted in various reiterations in the years 1971, 1977, 1985, 1989, 1996, 1998, 2001, 2005 and in 2008. However, again the bill failed to pass. Eventually, the cause was picked up by social activist, Anna Hazare. He headed a campaign called "India Against Corruption" (IAC), which was started in 2011. According to the IAC, all previous reiterations of the bill fell short, and they instead submitted a newer version of the bill, now called as the Jan Lokpal Bill. The Jan Lokpal aimed to effectively deter corruption, compensate citizen grievances, and protect whistle-blowers. In the simplest words, the Jan Lokpal Bill is nothing more than a version of the original Lokpal Bill. Anna Hazare was a powerful force in getting this bill proposed and submitted. In fact, many people claim that without him the bill would not have been submitted at all. He even went on an indefinite hunger strike in order to get the government to accept and pass the bill. However, a consensus between the activists and the government could not be reached. After many protests by the supports, and two hunger strikes by Anna Hazare, the bill was eventually submitted and then passed by the Lok Sabha after making some changes to it. The bill was again stalled in Rajya Sabha. It was eventually passed as The Lokpal and Lokayuktas Act, 2013, commonly known as The Lokpal Act, in 2013. According to its manifest, it "seeks to provide for the establishment of the institution of Lokpal to inquire into allegations of corruption against certain public functionaries and for matters connecting them". Introduced under this name during under Arvind Kejriwal’s administration. Anna Hazare was a big supporter of this bill.